Salina enjoys a highly diverse and robust manufacturing sector and is home to companies that manufacturer everything from precision electrical controls, valves, boring and testing equipment, farm machinery, and even pizza. 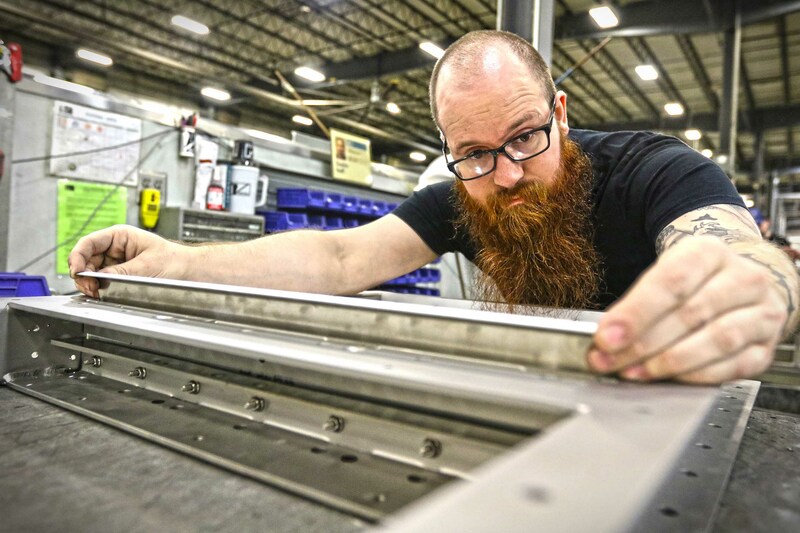 The area is also home to a broad base of contract suppliers including machine shops, engineers, and fabricators that offer precision services. Manufacturers are drawn to Salina partly for its centralized location and great transportation options. With two interstate highways, trucks can be on the highway in minutes from any location in the county. Air cargo and freight services are available at the Salina Regional Airport. And, with connections to main line and short line railroads right in Salina, manufacturers here can move products and raw materials to and from anywhere in the U.S. with ease. Manufacturers interested in exporting their products overseas can also reach deep water ports in less than a day and a half and enjoy additional benefits of Salina’s location in the Sedgwick County Foreign Trade Zone (FTZ #161). Salina’s manufacturers have the added advantage of a highly skilled workforce of more than 213,000 within a 90-minute drive. Our high school students have the opportunity for hands-on learning through a variety of vocational programs. After graduation, many continue their education at Salina Area Technical College where they gain advanced skills in machining and computer numeric control (CNC), computer-aided drafting, quality control, automotive technology, welding, and assembly. With the highest Student Success Index ratings in the state, graduates from Salina Tech programs are ready and eager to put their skills to work. Manufacturers here also enjoy competitive operating costs – a product of affordable wages and utilities – and a powerful package of incentives to help them succeed. There’s plenty of space for manufacturers of all sizes in our business parks, which offer more than 200,000 square feet of existing space and many acres for development. Salina, Kansas is a great place for manufacturers to set up shop. Click on the links shown here to see why.